Chessfunda: Mikhail Tal and his Sacrifices Part 2. Pin It Tal's success as a sacrificer resulted from both his personality and his mental faculties. he loved a fight. He had great intuition, a rich imagination and a love of beauty. He was able to calculate at great speed and visualize future positions with remarkable clarity. He had an uncanny judgement of the effects of strange material imbalances. he had a great sense of humour, one effect of which was to help him to see paradoxical ideas. A short section on the greatest sacrificer of all time can scarcely do full justice to all o fhis characteristics, but we can hope to see some of them in action and allow ourselves to be inspired by them. Tal sacrificed with many possible ends in mind. 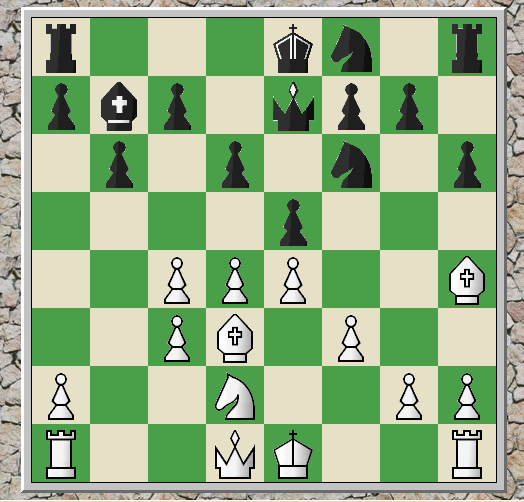 The favourite combination of his merely resulted in a favourable endgame. and Tal declines to save his queen. The calm 9 9...0-0! is the critical test of Tal's idea. He even allows Black to save his own queen if he wishes, but 20...Qd5 21 Bxg6 Rg8 22 Rfe1+ Kd7 23 Re7 Kc8 24 Bf5+! Qxf5 25 Nd6+ wins for white. And we shall see later in the book, the pawn's dash from the fourth to the seventh rank in consecutive moves - with heavy material sacrifices on the way was to become a Tal trademark. With his h4 Bishop still en prise, Tal puts both of his other minor pieces at his opponent's disposal. 22 Bxe6 Ba6 23 Nd6+ Ke7 chess game. Tal has still two pieces en prise, but he knows what he is doing. The has cleared. What has Tal achieved with his grandiose combination? A better ending, and not necessarily a winning one, either. Black is still a pawn ahead, but White has the better minor piece and far better pawns. A typical problem for the defender, who over-relaxes once the barrage is over. 26 ...Rb8, and if 27 Rab1 then 27...Rb6!, would give in good chances of saving the game. Now tal takes control of the b-file and eventually wins the ending. It is typical of the man that he was willing to undertake such mundane duties after firing the big guns, and also typical that he would play such endgames so much better than his shell shocked opponents. Your comments are the most valuable assets for us.